Mining has dramatically altered the Queensland landscape. The open cut coal mines in central Queensland and the monumental mine and processing towers of Mount Isa demonstrate the inescapable impact of mining. The exploitation of mineral resources has been, and will continue to be, central to the Queensland economy. But mining has brought more than economic prosperity; it has brought about physical and environmental change, and altered the cultural mien. 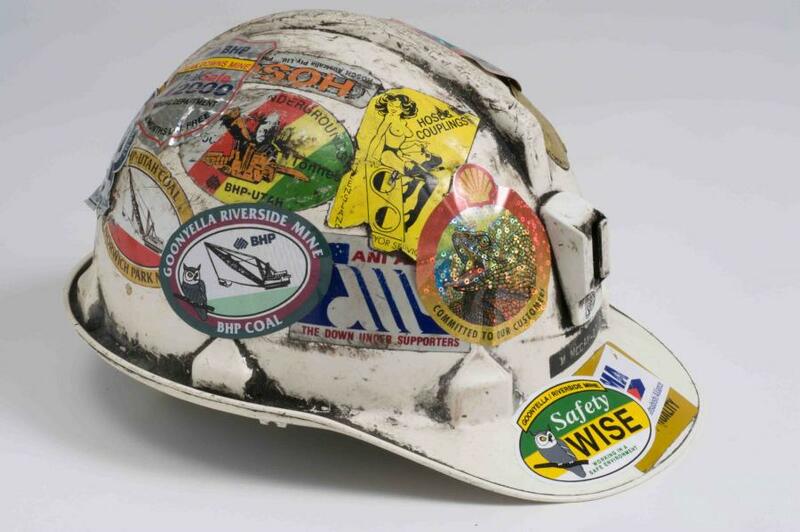 To many Queenslanders, mining is part of how they see themselves. The history of mining informs the primary school curriculum, countless small towns identify some piece of their past with mining and it is a point of debate in every state election. Weighed against the benefits are the environmental costs of the commitment to mining. 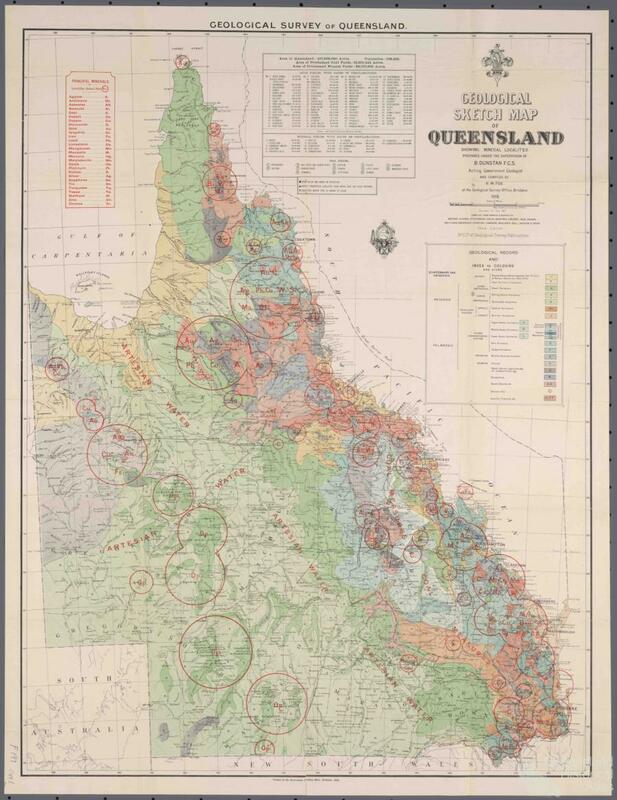 Although tin, copper and gold are always identified with Queensland, there are many other minerals mined such as arsenic, bauxite (aluminium), bismuth, cinnabar (mercury), lead, magnesium, molybdenum, nickel, phosphorous, rutile (titanium), silver, uranium, wolfram (tungsten) and zinc. Resources such as coal, oil and gas abound and deposits of gemstones are also mined. In a tangle of connections, the threads of mining are seen in many of the stories in Queensland history. Government time and much legislation have been given over to mining. In the nineteenth century, many in the Legislative Assembly had direct involvement in mining, early investors in mining included key individuals in the administration of Queensland - high profile people such as Arthur Palmer, Thomas McIlwraith and James ‘Venture’ Mulligan. Part of the business of parliament (and the business interest of parliamentarians) was the provision of railways and roads to mines. Many ‘fact-finding’ missions in the 1880s and 1890s were undertaken up and down the coast of Queensland to establish the needs of competing claims. In a nice piece of circular logic, many otherwise successful mining ventures failed as a result of lack of access to markets, transport options withheld as the ventures were felt to be unreliable. Early transport routes to the mines form the backbone of the modern road and rail systems. Much costly infrastructure was financed by exploitation of minerals. Gympie Road was developed in 1867 to service the new gold field, and the route of the original rail-line across parts of the Darling Downs was established to connect to coal mines to service the railway. More recently port towns like Gladstone have serviced the coal and bauxite industries. The costly infrastructure supported by government policy from the earliest days of the colony has been paid for by enormous economic booms on the back of minerals. 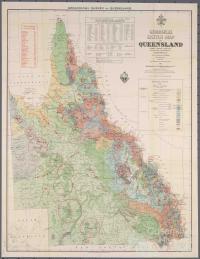 However, in the development and change of Queensland there have been many other reasons why mining has been important. 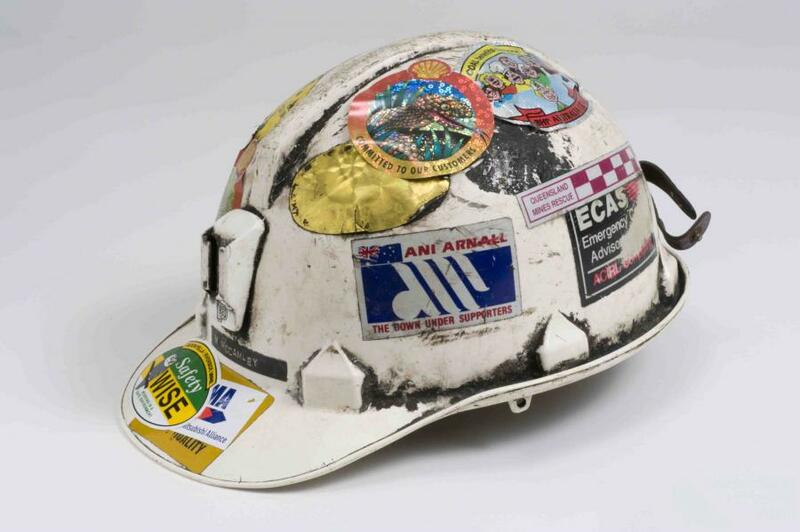 Mines have been the reason for many settlements and for movement of people, places of contact with Aboriginal people and Torres Strait Islanders and a source of land and employment. But it is perhaps in the movement of people in search of exploitable minerals that the largest social impact of mining can be seen. 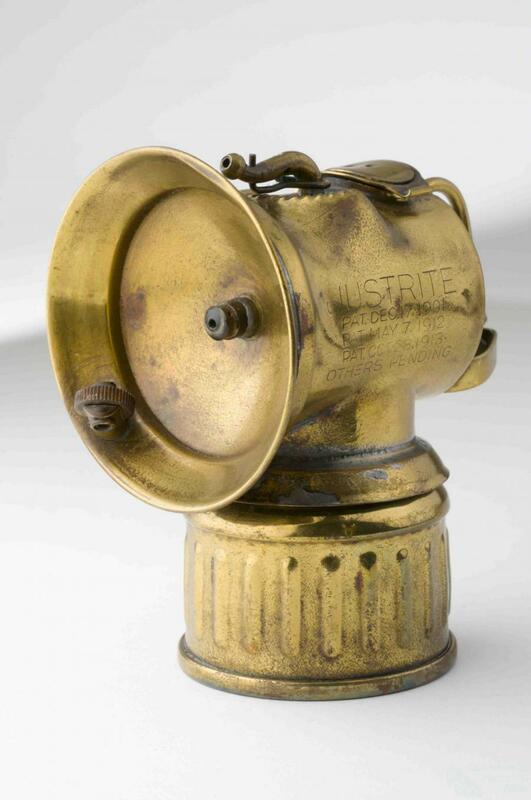 Mines have attracted mobile populations that arrived in the first ‘rush’ and readily departed when the resource was exhausted causing ephemeral settlements and ghost towns like Maytown and Mary Kathleen. Mining being the primary occupation in some of the more remote (or newly settled) towns has also led to the rise of ‘company’ towns, the company controlled layout of Mary Kathleen and the ‘workingmen’s quarters’ of Mount Isa and the central Queensland coal mines features of this industrial phenomenon. Mining, however, is not just a history for white Australians. Mining, along with pastoralism was a major contributor to the dislocation of Aboriginal people from their land. Conversely, Aboriginal people also took part in mining ventures, for example people from Weipa assisting with bauxite exploration and testing in the 1950s and Torres Strait Islanders actively participated in the mining of Wolfram from the 1930s. In the past, Aboriginal people have mined in traditional stone axe quarries, such as Lake Moondarah, where women as well as men took part in the extraction of the resource. In fact, people of different ethnic origins have been involved in mining across Queensland’s history, most notably Chinese miners who were subjected to discrimination individually and legislatively. As Lady Elliot Island (where guano mining stripped the entire vegetation of the island in the 1860s) demonstrates however, there has been a cost in environmental terms associated with the commitment to mining – pollutants such as arsenic, cyanide and sulphide, land modifications with spoil heaps and subsidence, and health issues associated with mining, for example concerns about lead levels at Mount Isa – that need to be weighed against the benefits. People are also displaced as a result of mining, both through the long term dispossession of Aboriginal people and more recently when townships like Acland on the Darling Downs have been wiped out with the acquisition of large swathes of land for open cut mining. Today, the other important consideration that must be weighed is the destruction of cultural heritage. Mining in places with cultural significance, such as North Stradbroke and Ngarrabulgan, have very real implications for Traditional Owners. And ironically, the economic imperative of mining threatens its own history, the remnants of the structures that provided Queensland’s colonial wealth collected in the back of a 100T capacity monster truck, swept away in the next phase of mining endeavour. Thus mining contributes to both the making of ‘place’ and displacement. The many meanings of ‘exploitation’ are present in the mined landscape. In the early 1970s, you could walk through a suburb of Mary Kathleen and see deserted houses, or visit the outdoor picture theatre with deck chairs empty of people. It was a bizarrely modern ghost town. Uranium was discovered there in 1954 when a frenzy of exploration was taking place around Mount Isa. Named for Mary-Kathleen McConachy (wife of Norm McConachy, one of the exploration syndicate leaders), the open cut mine and town was established in 1955-56 and had a population of 1100 at its height. A company town, Mary Kathleen was revolutionary in concept and design, being a largely self sufficient, planned town with modern conveniences and a co-ordinated architectural repertoire. The residences were appropriate for the climate, designed to catch prevailing breezes, and the town itself was set into the natural divisions formed by trees or rock outcrops. In its first phase of operations (from 1955 to 1963), the mine at Mary Kathleen was Australia’s largest uranium producer. In late 1963 the original supply contract was finished and, with no further sales, the mine closed and the plant was put on care and maintenance. New contracts were negotiated and operations recommenced in 1974, the town and mine once again turning into a thriving community. The mine finally closed down at the end of 1982, over nine million tonnes of ore having been treated in the two phases of operation. By 1983 the moveable workforce and the township were gone leaving only streets and concrete pads – another evocative example of the ephemeral mining settlement. Sand mining began on North Stradbroke Island in 1949 when concentrated minerals found on Main Beach were hand shovelled into trucks for transport across the island for processing. Since then sand mining for rutile, zirconium and ilmenite has become a highly mechanised process of dredging. This processes large volumes of sand and operates in the coastal dunes and in the dune caps in the centre of the island. Sand mining is regarded by many as highly damaging to the environment but to others it is seen as providing income and resources to the island. The traditional custodians of North Stradbroke Island, the Noonuccal and Koenpul people, are equally as divided over acceptance of sand mining, with many community members unhappy with the destruction of cultural heritage – the desecration of the land. The destructive nature of mining affects not just the physical landscape but the cultural landscape. Bora rings, burial sites and significant places have been affected by the continuing progress of the dredges across the island. As part of the Quandamooka Land Council Aboriginal Corporation native title claim lodged in 1994, the traditional owners of Stradbroke Island are working to manage sand mining across the island. Mining at Mount Morgan had a profound effect on the landscape, a mountain being removed and an enormous hole left in its place. The chimney stacks from the processing works dominate the view and the open cut mine is still there, although the fumes and noise are less now. The mine was well-known and regarded as a premier gold producer but the complex ores, containing both gold and copper, meant that complex processing was required. This included, at various times, sulphide roasting and treatment, chlorination and cyanide processing, all of which contributed to the extensive environmental impact of mining. Contaminated water and tailings had to be dealt with, along with noxious fumes. Entering a large shed, open at all sides, we were quickly seized with a choking sensation, caused we learnt, by the inevitable escape of chlorine gas. The effect of this gas is over-powering to the visitor, and to the workmen, especially those with a weak chest, it is exceedingly trying, often, in fact, causing severe cough with bleeding at the lungs. The grass crowned summits round the town, that were once covered with timber and undergrowth, are now clear in all directions, not even the stumps being left. They have the appearance of high open downs country and … present a great contrast to … the scarred and broken face opposite where the workings are being carried on. … Mans handiwork is too manifest, while the clouds of dust rising from the pulverised ore have given a sombre coating to the buildings. When the mine at Mount Morgan closed in 1990 what remained was an altered landscape, testimony to the over 250 tonnes of gold and more than 380,000 tonnes of copper taken from the earth during the life of the mine. Mining provided opportunities for people from a variety of ethnic backgrounds and tin mining was no different. Tin mining commenced in Queensland in the 1870s and continued well into the twentieth century. The earliest example is attributed to Chinese miners prospecting for alluvial tin south of Maytown. Chinese miners also worked in the Stanthorpe tin district. However, by the 1890s, many Chinese had turned to market gardening as they were gradually excluded from mining. Stanthorpe at one time claimed to be the most successful tin mining field in Queensland, competing with Irvinebank, regarded as the tin mining centre of the state in the early twentieth century. Irvinebank owed some of its success to a group of Italian miners who discovered the lucrative Vulcan lode in 1889, that mine becoming the mainstay of tin production. John Moffat, mining entrepreneur and the major shareholder and director of the Irvinebank Mining Company (and of Scottish ancestry like many who worked at mines across Queensland in the late nineteenth century) took over the mine and operated it until his retirement in 1912. Another tin field on the Annan River, further north in Queensland, was not only a place of migrants but also a place for Aboriginal people. There, European tin miners and local Aboriginal groups interacted and the shared landscape. 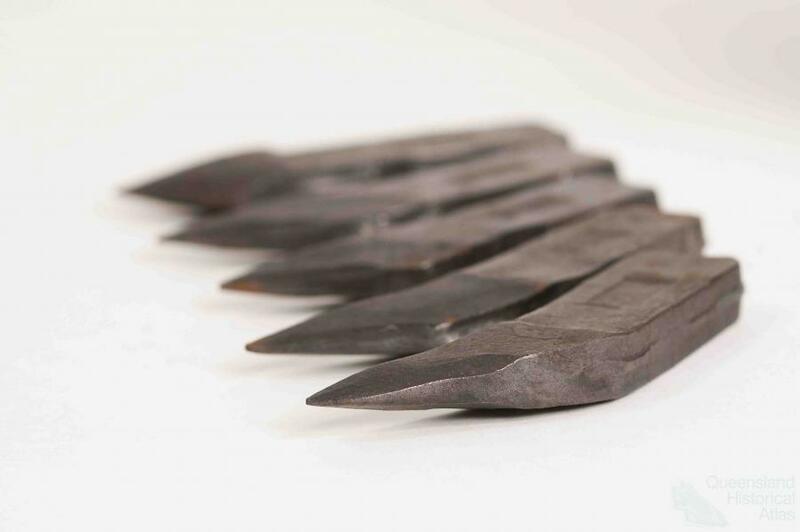 Although there was conflict around access to resources such as water and trees and in the destruction of ‘story places’, a shared history also developed, with Aboriginal people adapting their subsistence and social strategies to meet the changes associated with the arrival of mining. Mount Isa is an iconic mining town in Queensland. Beneath the well recognised skyline lies one of the largest underground mines in Australia, the massive lead, zinc, silver and copper deposits discovered in 1923. The logistics of getting a mine into production and establishing a town to accommodate the large workforce in a harsh and testing environment in the middle of nowhere provided an enormous challenge, achieved by the time production commenced in 1931 with some degree of innovation. Truly a company town, in the earliest days a shortage of housing resulted in accommodation being provided in tents. These were converted to tent houses in 1934 when growth of population again made accommodation a pressing need. 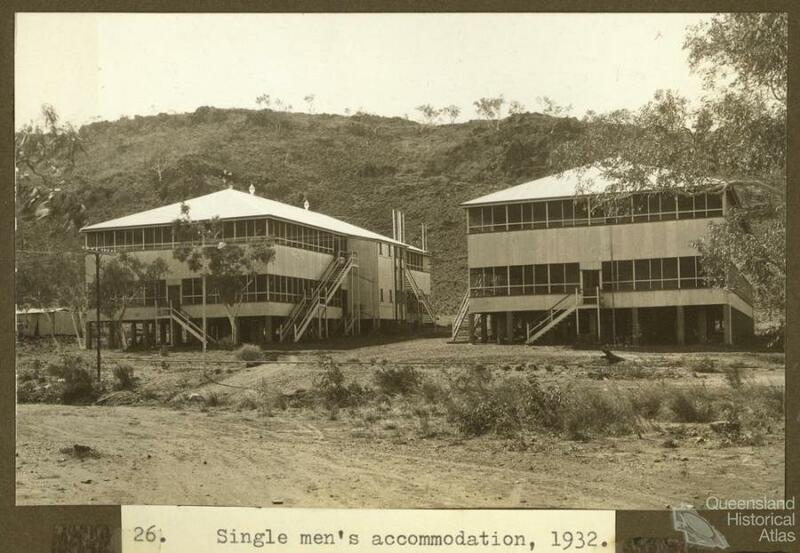 In the meantime, accommodation for single men was being constructed by Mount Isa Mines Ltd. Staff houses and dormitories for single men were erected. These included mess halls, although the operation of the mess was not without its problems, the continued employment of one particular cook causing a strike by miners in October 1929. The policy of providing accommodation for employees was regarded at the time as an 'interesting experiment' – not a typical approach in 1929. Yet today the barracks of single men’s quarters are a standard feature of the mining landscape in many mining towns. From 1938 individuals and families from Mua (Banks Island) began small-scale shallow-mining of wolfram on land traditionally owned by the Mualgal. Their efforts were encouraged by the Queensland Department of Native Affairs (DNA), which then controlled Islanders under the 1939 Torres Strait Islanders Act, overseeing wartime production, arranging for geological surveys and appointing a European supervisor. As unlisted men from the region were summoned to Mua to mine wolfram, related groups of Islanders centred their activities on three different localities: Gunagan and Buziawar near Kubin (Mua and Keriri Islanders); Ith Hill (inhabitants of the St Paul’s Anglican Mission on Mua, then legally defined as non-Islanders); and the Blue Mountains (Saibai and Badu Islanders). DNA officials, fearing the loss of marine markets and consequent unemployment, emigration and economic collapse, advocated wolfram mining among post-war alternative industrial operations and assumed full control of operations. Peak production, boosted by Korean War demand, occurred in 1951-52, some 100 men mining about 80 tons with a value of £43,738. Muans invested their hopes for economic, social and political autonomy in the mines but production declined rapidly from 1954 and only small amounts of ore were mined from 1957. Boosted by Commonwealth-funded infrastructure, operations continued fitfully from1970 until the complete collapse of world prices in 1973. Various unsuccessful prospecting ventures were made during the late 1970s and early 1980s. Like the boat strike, the wolfram mining story has become an Islander resistance narrative, its hero the long-serving Kubin chairman, Wees Nawia, who mediated disputes between the communities and vainly attempted to establish Muan control over operations. In 2006 a small Cairns company applied to the Department of Mines and Energy and was granted an exclusionary permit to prospect, resuscitating Muans’ hopes of a sustainable economic base for future generations. The stone axe quarries of Lake Moondarra, north of Mount Isa, are the site of an ancient mining industry, going back over 1000 years. Basalt outcrops among the hills were extensively quarried by the Kalkadoon people to manufacture hard, dense black axes and axe-blanks. The quarry at Lake Moondarra extends over approximately 78 ha, with pits of up to three metres in diameter and one metre in depth, and is one of the largest Aboriginal stone axe quarries in Australia. The quarry site was a highly organised operation with archaeological and anthropological evidence showing that different locations through the quarry were used for different aspects of production –­ quarrying, shaping of axe blanks, and grinding of the bevelled edge – with men and women taking part in the production. 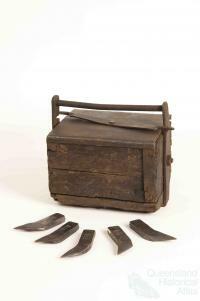 The highly prized axes were used in an extensive inland trade networks covering much of the western Lake Eyre Basin. The Kalkadoons traded with neighbouring groups such as the Pitta-Pitta and the Yaroinga people. 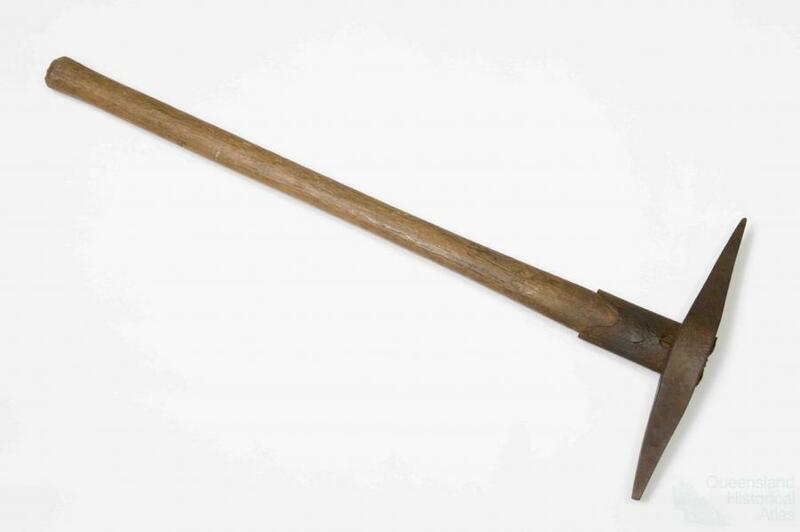 However, the axes were often traded several times and have been found as far afield as the border between Western Australia and South Australia. 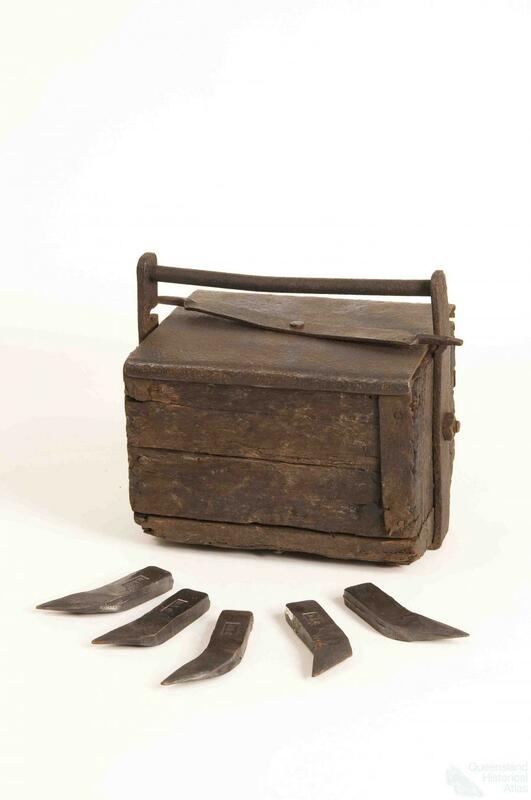 Other goods traded along these networks included the plant based narcotic pituri from the edge of the Simpson Desert, high quality red ochre from South Australia, wooden tools and utensils, stone knives and Koolamons. Copper mining at Mount Perry, like many similar ventures in late nineteenth century Queensland, was accompanied by massive capital investment, was linked to prominent personalities in the colony and claimed a need for a railway line to make the venture viable. 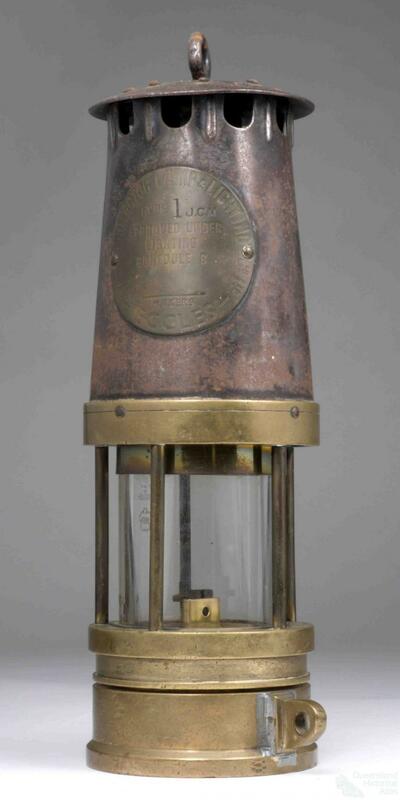 By 1872, only a year after the initial founding of the Mount Perry Copper Mining Company, six companies were operating with a collective nominal capital of over £500,000. The director of the first company was Ebenezer Vickery, a successful businessman who through his life developed a large portfolio of interests in mining and manufacturing. Thomas McIlwraith then acquired the Mount Perry mines after the company was wound up in 1877. Although the mine was not in operation, McIlwraith (at the time Premier of Queensland) was still a principal investor when the railway line to Mount Perry was finally approved and constructed by the government in the early 1880s. Mining resumed in 1884 in anticipation of the opening of the rail line, however, the low copper prices soon halted operation. McIlwraith’s continuing interest in the Mount Perry mine, held alongside those of Arthur Palmer and several English aristocrats, came to light as part of the 1897 inquiry into the collapse of the Queensland National Bank, where his connections to railway syndicates together with extensive public borrowing to fund colonial railways was in the spotlight. Copper mining remained depressed in the district until 1901 when a London-based consortium invested in the mine and smelter in a climate of rising copper prices. However, like many of Queensland’s copper mines, Mount Perry’s variable success and eventual demise was tied to fluctuating copper prices. In perhaps a fitting end, the final blow came in 1913 when the company was forced into liquidation after unwise railway speculations by the company’s bank.